Ok, this is an easy one to make. We are going to use a hall effect switch to turn the Arduino UNO's built-in led on and off with a magnet. A pull-up resistor is required between pin 1 and pin 3 to pull-up the switch's output to +5V. 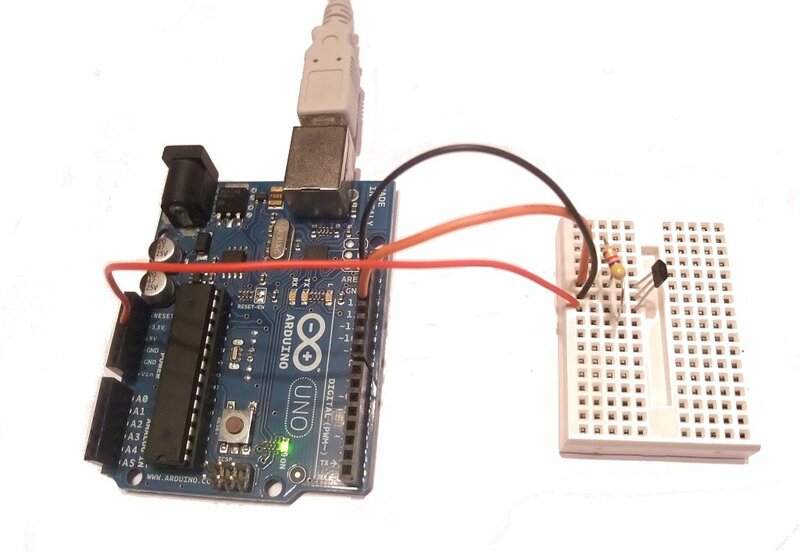 When the switch detects a magnet, it will pull it's output pin low, which we can easily detect on the Arduino board.